Moving is exhausting and nerve-wracking? 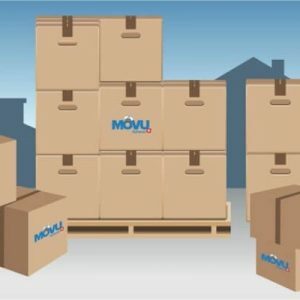 Don’t worry, MOVU is by your side. After extensive research, we collected all the important points for your project. It doesn’t matter if it’s a private move or a firm’s relocation: Lean back – stress was yesterday. 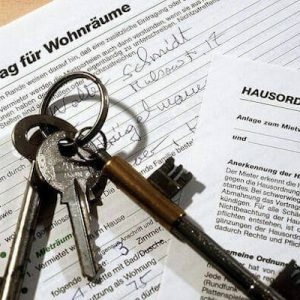 We will give you an overview of all the incurring tasks and provide you with one of the best checklists for your move that you can find on the Internet. All you need to do is check the items off the list. You can download the PDF-File for the Checklist at the bottom of the page. Moving was never so relaxed. You managed to assert yourself against all the other applicants and signed the new rental contract? Congratulations. Now the next step is to plan the move and to terminate the old contract. Pay attention to the deadline of three months and deliver your termination by registered email. Also, think about whether or not you want to move with a moving company. Getting offers is really easy, all you need to do is fill in the form and you will get offers from five companies for free. That way you can compare their pricing. Also, think about who will do the final cleaning. Make sure to take a few vacation days to prepare the move and to set up in the new apartment. And don’t forget to transfer your Internet, phone and television contracts. Things are getting serious now: you need to take care of your address change. Use local.ch to change your entry and set up a redirection order at the post office. The local residential registry office, your insurance and health insurance will also be happy to hear from you. 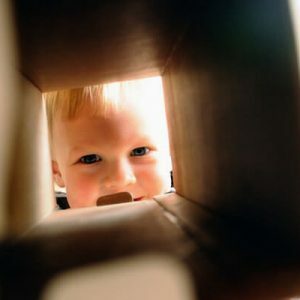 Try to pack your boxes in every free minute you have. Organize moving boxes, packing material, stickers and get rid of things you don’t need anymore. Give it away, sell it, throw it away. Plan reparations and renovations for the old apartment. It’s also wise to arrange a meeting with the landlord to talk about possible repairs. Tell your neighbors about your move. That way the driveway will be free when you need to transport your furniture to the moving transporter. Also, think about reserving a parking spot at your new apartment. If there is no available parking space, ask the local authorities about making an exception for a no-parking zone. By now you should agree on a date for the apartment handing over. If you drive to your new apartment, we recommend always taking some boxes with you. That makes the moving day a bit easier. Also, take the following items with you to the new apartment: light bulbs, towels, soap, toilet paper and some beer for relaxation after painting the walls or other cleanup work. The final sprint starts now. Disassemble one piece of furniture every evening. You can use freezer bags to stick the screws and other small parts to the furniture. Protect delicate things with bubble wrap. Make sure to have a special box with tools, Band-Aids, garbage bags and writing utensils. And: Make sure that there’s enough food for the moving helpers on the moving day. This is one of the occasions where everyone is really happy about a sandwich or other snacks. The last few days were exhausting, the nights not very restful? Don’t worry, you almost made it. Today you can get the moving transporter. Think beforehand how you want to load the transporter: Heavy things at the back and things you need first should be loaded last. Once you’re in the new apartment, you’re the conductor: Help your friends to put the boxes and furniture into the right room. Meanwhile you could note the counters for water, heating and power. And then the last step: the handover of the apartment and the old key and the handover report. Phew, that was is. Now breathe in and… enjoy. You did it. You’d like to print out the list to check the points one by one? You can download the detailed checklist for your move here as a PDF.